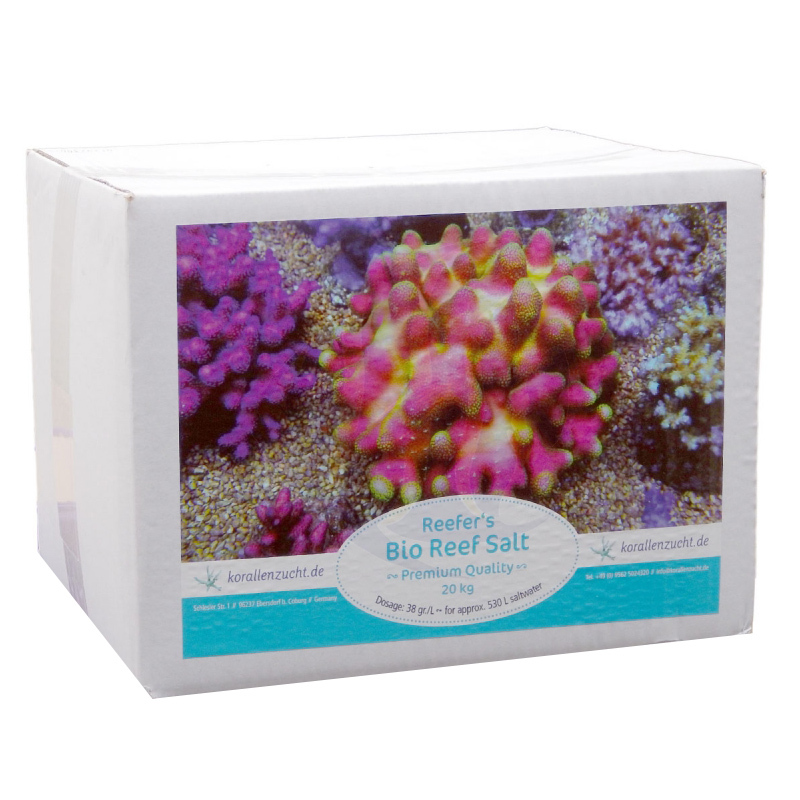 Reefer´s Bio Reef Salt Premium Quality is produced with utmost care, using only the highest quality chemicals following the German and European pharmacy dispensary standards. This Bio Premium Reef Salt was developed and especially mixed for reefers demanding the highest standards. The effect on your sensitive animals will convince you when using Reefer’s Best Bio Reef Salt Premium Quality. - There is now a small change in packaging: the plastic bag in the box is welded. Box remains as before!